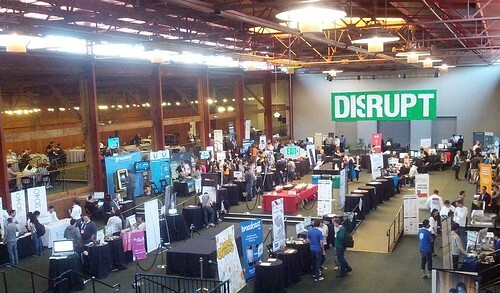 I just visited dozens and dozens of startup booths (so you don’t have to) at the massive Techcrunch Disrupt held in San Francisco, I also attended in 2011 and published my notes. I’ve been attending Techcrunch events since they were held in Mike Arrington’s backyard with beers, bbq, and a bouncing black lab over 5 years ago, they’ve come a very long way and Mark Zuckerberg said it was larger than his own Facebook conference. Kerio Workspace caters to SMBs offering a collaboration toolset built on their existing program. This company has been around since 1997, has 200 employees and stems from a legacy of voip products and beyond. This collaboration tool offers a heavy duty user interface for heavier collaboration with social features. The Fan Machine: Social marketing platform The Fan Machine caters to marketers to reach French, Portuguese, Russian, Spanish. They’ve 25 employees and have received $1m in funding and strive to compete with Buddy Media, Wildfire, and Extole. Freshdesk, which is 1 year old, offers social support and call center SaaS technology for SMB. With 80 employees and $6m funding, they tout 2k customers and offer 3 modules including: 1) Email., call and ticket systems. 2) P2P support tools, 3) Social CRM and news feed management of customers complaining in public. Biz model is $9 a mos per agent with an average of 10 agents. Competes with Zendesk. Superlead, a Brazillian startup offers lead generation tools for SMBs that include landing pages, lead gen pages, call to action features, and analytics. With only 7 employees they’ve raised 350k Euros. HP, Rackspace were offering cloud and hosting to the myriad of fast growing startups. MakerBot, 3D printer, will be available for $2k and creates plastic figures, tools, toys, and devices, and will move to other forms of more pliable materials in the future. Government sponsored Enterprise Ireland was present and has an evergreen fund of $350m for startups and larger org. Code 2040 offers a summer internship for US students of Latino and African American heritage who are interested in technology. Chronos offers a body data tracking application that tracks your daily time usage by your phone. This can be used to optomize how you spend time during the day, and competes with Latitude and Lift but claims more automated features. Biz model is fremium with lead gen CPA and ad models. Most of these startups will not stand the test of time, and from year to year, I didn’t see as many trends changing other than the lack of SoLoMo companies from Disrupt 2011. One of my mottos is ABR: Always be Researching, and I hope these findings helped others who couldn’t attend the event.